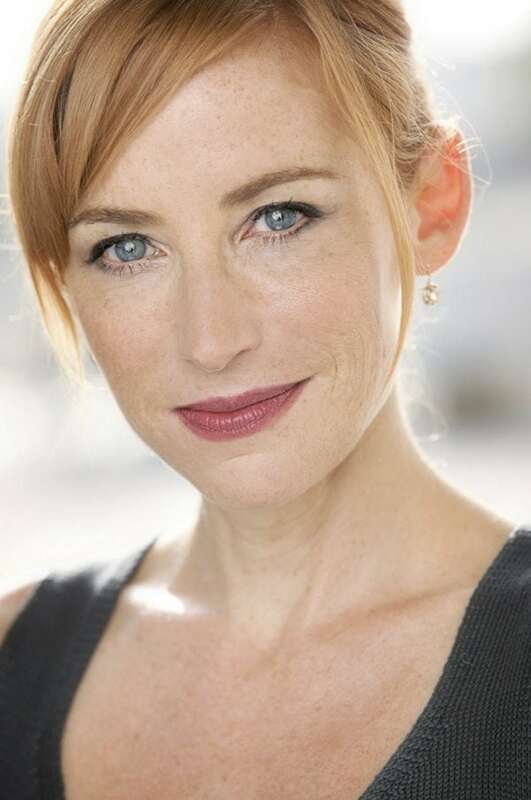 Karen Strassman is a veteran television actress and voiceover artist who can currently be seen with a recurring guest role as “Dr. Slotnick” on the hit AMC series Preacher. She has guest-starred on the popular TV shows Silicon Valley, Workaholics, Weeds, and Criminal Minds to name just a few. She was also the Newscaster in the cult classic The Purge and has lent her voice to many notable video games including Call of Duty: WWII, Halo Wars 2, Call of Duty: Black Ops III, and most recently World of Warcraft: Battle for Azeroth. She will next be seen in the psychological horror film, The Onania Club from Tom Six. 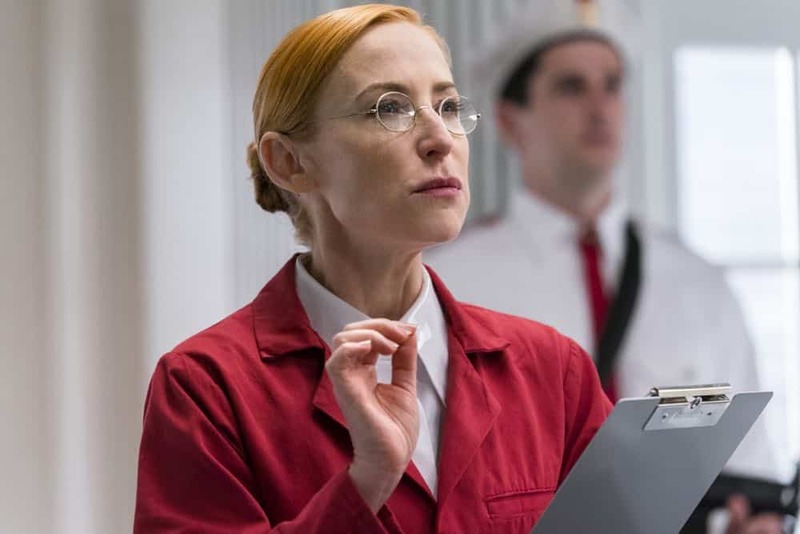 Flickering Myth’s Tai Freligh caught up with her to talk Preacher, The Purge and her many VO and acting appearances. Talk about your character in Preacher. How much was on the page and how much did you bring to her? Well, the role was originally written for a man: “Louis Slotnick,” but for whatever reasons, they didn’t find the guy they liked and started auditioning women for the role as well. The breakdown for the character basically said she was a passionate and excited scientist, with no mention of any accent or nationality, so I did a self-taped audition corresponding to that. But it just felt to me like the character wasn’t really American. She just felt more foreign, the way her lines were written, I don’t know why. I just had this weird urge to do it in a German accent. So, I did a take where I made her this creepy German scientist lady, just to get it out of my system. But, it was just so interesting and compelling that I decided to take a risk and send it along to casting, with the other take, just for fun. Then later that week we heard back from the Casting Director, Ryan Glorioso, that they actually really liked the German accent… and I got cast. Such a great reminder of how important it is to trust one’s instincts. Once I got on set, I spoke a bunch with Mary Laws, who was the main writer for the episode where my character first appears. I shared with her some ideas I had about Dr. Slotnick, some details of her past and who she is today. Mary was completely on board, and we incorporated it all. Then, it was director Wayne Yip who found the glasses I ended up wearing, which really helped hone the character, as props and wardrobe often can. It was also Wayne who helped me lean the Dr. Slotnick into a more dark and evil place as opposed to passionate and excited as it was written. 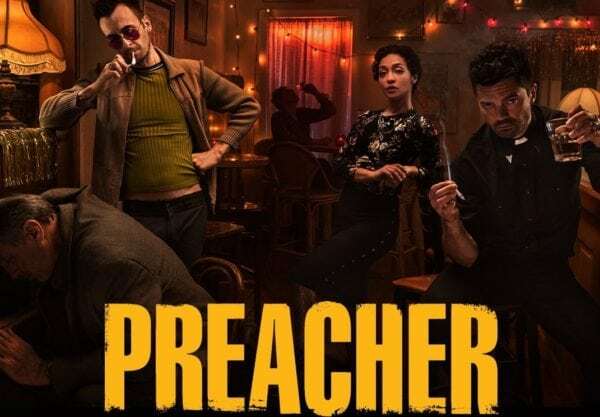 How familiar were you with the Preacher show before auditioning? Did you watch any of the previous seasons? I watched a number of episodes before auditioning just to get a sense of the world, became completely hooked on the show, and ended up binge-watching the first two seasons in the blink of an eye. I haven’t actually seen the comic books yet, and really look forward to reading them. 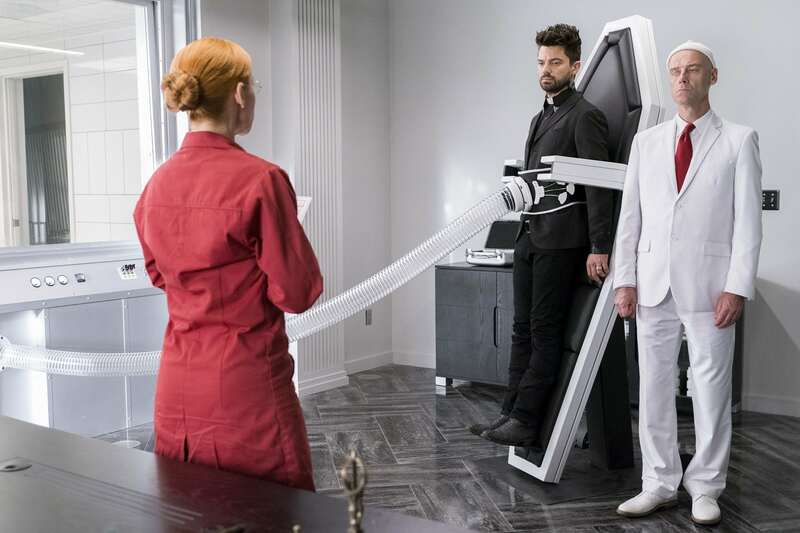 What’s it like working with Dominic Cooper? Dominic is just fantastic. He has taken this larger than life comic book character and made him so deeply human, relatable and real. I love that about all the actors in Preacher. They have all these wacky, bizarre characters and all of them are so grounded in such a sense of reality nonetheless. Dominic was really lovely to me from the very first moment we met. He made a point of finding me, introducing himself, and welcoming me to the show. After we did the first stumble-through of our first scene together for blocking purposes, and everyone heard this unexpected German accent come out of my mouth which they weren’t expecting (since it wasn’t in the script), he came right over to me and said something to me like: Love, that’s fantastic, really funny. This is going to be an awesome scene, I’m really excited about it. He is incredibly focused, disciplined, and committed to doing the best work possible. What a pleasure and delight to work with him. Often there are absurd circumstances that happen behind the scenes that you don’t normally think about. 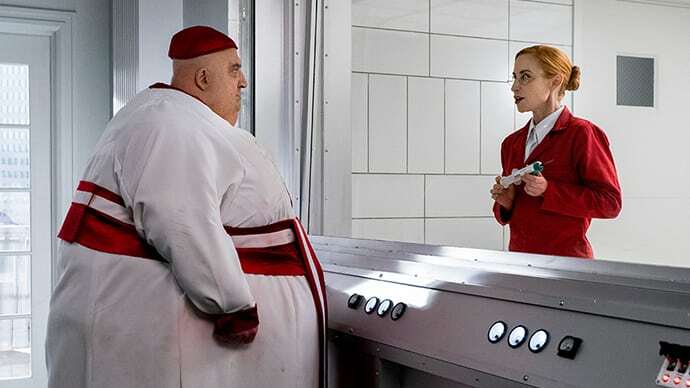 For example, Jonny Coyne had to wear this huge, and I mean HUGE, fat suit and the poor man literally couldn’t get through some of the set doorways in the suit. So, they would have to bring him on set and then lug the fat suit in and pile it on him there. He could barely stand up because it was so heavy and he had to sit on an apple box between takes with a fan pointed at him because it was so hot. Also, there was a scene written in the script where Dr. Slotnick was supposed to pee herself. They had to cut it because there was just too much to do that day and we were going way over time. I was very disappointed that I didn’t get to pee myself, that would have been fun. How did you break into voice acting? I spent my whole childhood and all of high school impassioned by acting, and was in as many plays as I could find to be in, took acting classes, etc. so already I had many years of amateur experience and training in acting. I moved to France as a student to study psychology and theatre in French. This is also where I first started training and working as a dialect coach as well, and the second year I was there, I was somehow randomly offered a job doing voices in English for a cassette tape to accompany a magazine called “Hi Kids!” that would help French children learn English. We recorded many editions of this magazine, and I had to do all kinds of characters from little girls and little boys to chipmunks to British ladies, American Indians, pirates, cowgirls, grandmothers, Southern belles and more. I had never done voiceover before, and had to learn very quickly. There was no one to tell me that I sucked, so I dove in without hesitation. It turned out I was actually good at it, and though I had never considered voice-over before, this was the beginning of a very rich and wonderful career. Ever since then I have done both on-camera and voiceover hand in hand. Which do you like better: voiceover for video games or animated movies? Who are your voice actor heroes? My voice actor heroes aren’t necessarily the big celebrities. My voice-actor heroes are many of my wonderful, successful working peers who help to make all kinds of animated worlds come to life. Voice actors who I get to work with and learn from day in and day out, who constantly inspire me, and who stun me over and over again with the unexpected characters they create and realities they help to populate. Actors like Kirk Thornton, Keith Silverstein, Cindy Robinson, Chris Smith, Yuri Lowenthal, Salli Saffioti, Fred Tadishor, Tara Strong, Stephanie Sheh, Courtenay Taylor, Patrick Seitz, Dave Fennoy, Debi Derryberry, Jennifer Hale, Valerie Arem, Ben Pronsky, Taliesin Jaffe, Wendee Lee, Liam O’Brien, and so many more who are also my go to hires when I cast or direct as well. There are so many amazingly talented and incredibly hard-working voiceover actors in this business that can show up and magically bring any character to life… magical dimensions out of crude black type on a white page. I am humbled to work amongst this extended tribe of amazing talent, and learn from each of them every day. With Mary Louise Parker on the set of Weeds. On the acting side, do you like movies or television shows better? I passionately love them both. What was your favourite TV show to guest star on and why? I’ve had so many wonderful experiences for different reasons. My top four are probably Preacher, Silicon Valley, Weeds and Criminal Minds. All because the stories, the writing, and the exemplary cast and crew on each one, the generous atmosphere of respect, teamwork, and real play. I could dive in with complete partnership and trust on these sets even though we barely knew each other. You have a horror movie coming up. Tell us about your character and what the movie The Onania Club is about? I have been sworn to secrecy by Mister Six about the project. I will tell you there is a trailer out online, and that Tom Six is an incredible artist, and a complete delight to work with. The movie is daring, bold, racy, brutal and full of social commentary. I love the strong, beautiful cast of women who are the backbone of the cast. Very proud of this project. You were in The Purge as a newscaster. 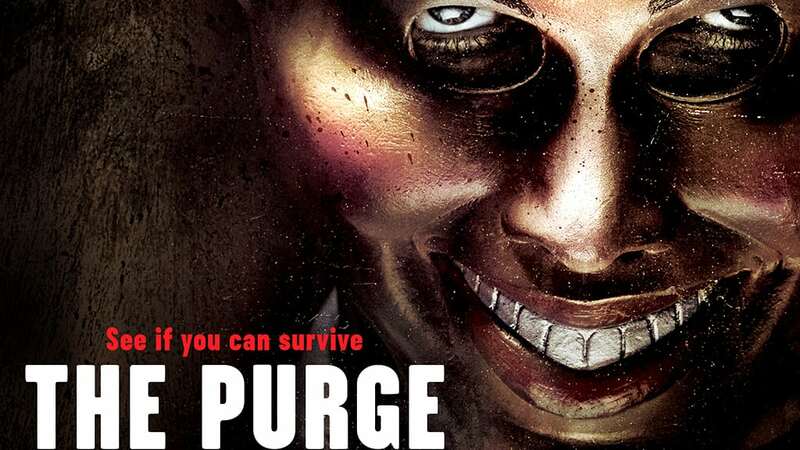 What do you think the appeal of the Purge series is, now that the franchise consists of four movies and a television show? As many films do, it lets people face their deepest fears and also their fantasies without really experiencing them personally. Bruno Bettelheim wrote a wonderful book about this theory. Tom Six often has spoken about how most people have horrible thoughts but are afraid or embarrassed to admit them. Filmmakers like Tom Six and the creators of The Purge dare to put these thoughts and fantasies out into the open. Like a fatal car accident on the side of the road, many of us are fascinated by it, and have to slow down to get a better look…. 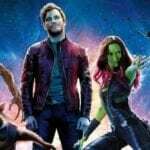 How do you use social media to connect with fans and promote your work? I’m trying to get better at social media. It’s taken me a long time to feel comfortable posting or bragging about my work, and I still haven’t learned to take a good selfie. It all feels so awkward. But, I know this is the way for people to know what I am up to. I love to interact with fans and answer questions on social media, and I really enjoy posting meaningful quotes or inspiring articles. Well you can hear me in the new awesome animated series Subway Surfers, based on the huge on-line game as the lead girl, Tricky. Also as Captain Eudora in World of Warcraft: Battle for Azeroth, as the beloved Aigis in BlazBlue: Cross Tag Battle, and Persona 3: Dancing in Moonlight. I just booked another TV show, which I can’t talk about yet, and I am working on quite a few video games that are hush hush. 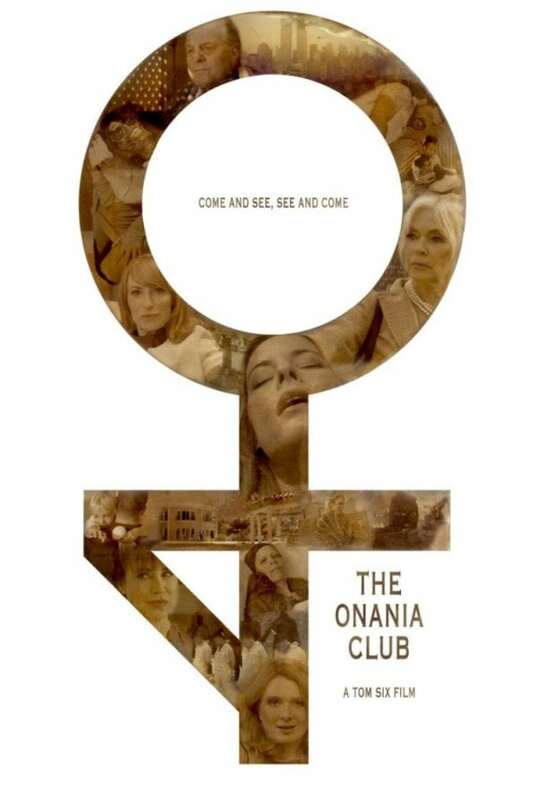 And yes, Tom Six’s new controversial film The Onania Club will be coming out as well. Team up with a group of amazing human beings and help each other get through it together. Favourite actor or actress you’ve worked with? If not acting or doing VO, what would your career be? Some kind of teacher or therapist. I’d love to create a communication course that could be mandatory in all schools to teach people how to communicate with each other in a healthy and effective way. I feel this is one of the most important skills to have in order to live and function in society. Most schools don’t teach this, and we all grow up to be horrible communicators, both in our personal and professional lives…not to mention on a global level. Who wins in a voice off, Melissa Rauch, Kevin Conroy or Mark Hamill? I’m partial to Mark Hamill. What is your favourite voice-over performance of all time, either animated film/tv show or video game? Possibly Ellen DeGeneres in Finding Nemo or Steve Carell in Despicable Me. We thank Karen for taking the time to chat with us and wish her the best of success on Preacher and the upcoming horror film, The Onania Club.